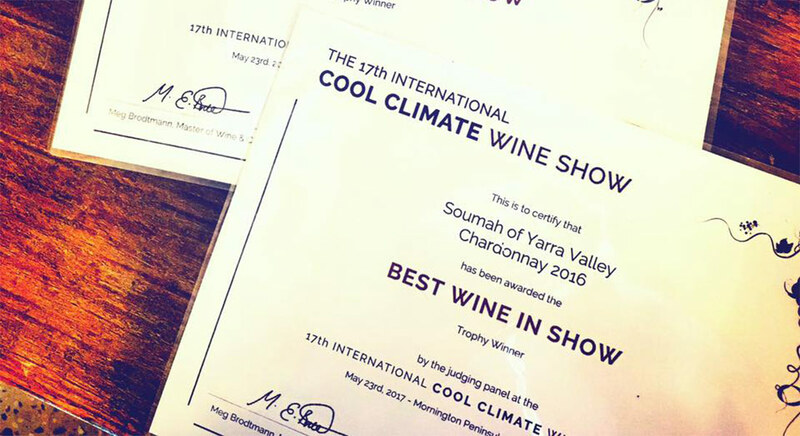 We are excited to announce that our 2016 Single Vineyard Chardonnay has been awarded not 1, not 2, but 3 Trophies at this year’s International Cool Climate Wine Show: Best Chardonnay 2016, Best White Wine In Show and Best Wine In Show! At SOUMAH we pride ourselves on producing wines of exceptional balance and finesse. Our Chardonnay philosophy is all about getting everything into the wine (packing it with flavour and depth) but with no edges. Great pristine fruit accents, fine acid, oak, and light creaminess. It all has to be in there, but all in moderation and in the lightest way possible. 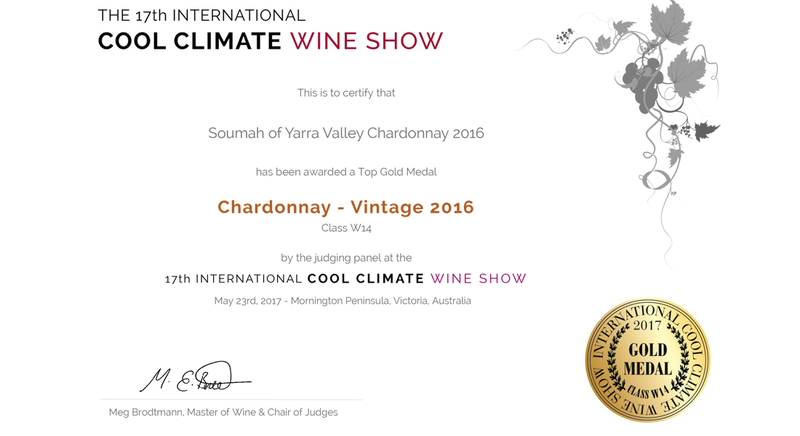 That is the hallmark of a new age, linear fresh, Yarra Valley Chardonnay. The ICCWS is internationally recognised as Australia’s foremost show for inspirational cool climate wines. Many of them are from smaller vineyards where grapes are handpicked and wines handcrafted by winemakers with a passion for exploring terroir and the true expression of the grape. Each year the ICCWS attracts more than 600 wines in 25 competition classes from around the world, including sparkling wines, Chardonnay, Sauvignon Blanc, Pinot Gris, Riesling, Pinot Noir and Shiraz. They are judged by a highly experienced 12-member team including two Masters of Wine: Meg Brodtmann, chair of judges, and Alison Eisermann. 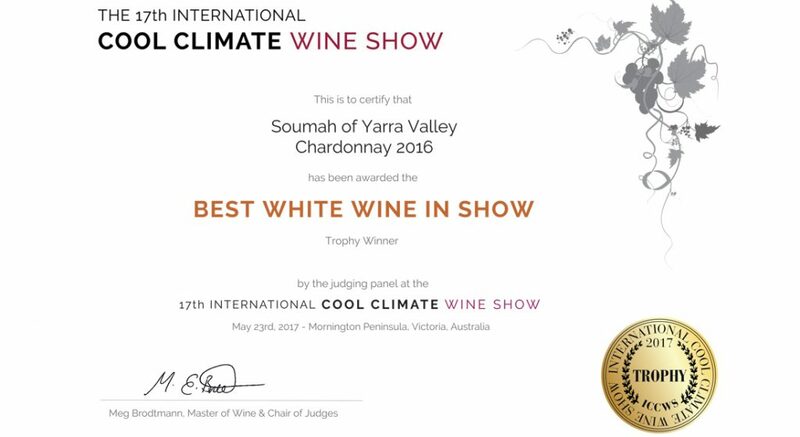 For winemakers, this is an opportunity to benchmark in a show where like is judged against like, where elegant wines with restrained fruit are seen at their best, and where diversity is encouraged and rewarded. For fine wine retailers, restaurateurs, sommeliers, wine educators and wine enthusiasts, this is an opportunity to taste an extraordinary breadth and depth of cool climate wines.